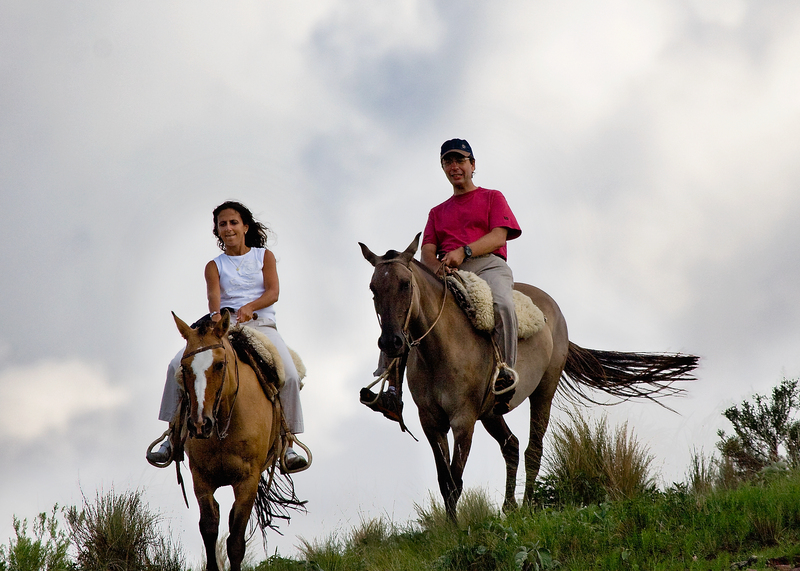 How many times have you sought out your horse for relaxation and stress reduction? Horses are great therapists, and they provide riders with many health benefits, too. Since May is National Blood Pressure Month, we thought you’d like to hear about just a few of the reasons that your time at the barn is good for your health. Doctors frequently recommend regular physical exercise to help lower high blood pressure. Horses provide excellent workouts. In riding your horse you work your body consistently for an hour or so each day. Lots of riding without stirrups or work in a jumping position will also increase the intensity of the workout that you’re getting. And there’s nothing like a long canter or gallop to raise your heartbeat. In addition to riding, though, simply caring for horses is a workout in itself. Hauling hay bales, feed bags, and water buckets provides you with regular strength training. Cleaning stalls and walking horses to and from their pastures will also keep you moving and help to keep you fit. If you need some relaxation time, the barn is a perfect place to find it. The horse’s natural rhythm at the walk can help you to relax both mentally and physically, a release that is important for good blood pressure. There’s an added benefit to relaxing with your horse: When you find make time for relaxation in your life, you are less likely to snack because of stress. Extra snacking can lead to weight gain or can make weight loss difficult, and extra weight will only drive up your blood pressure. The next time that you’re feeling overwhelmed, go spend some time with your horse. Holding onto things that bother you – whether it’s stress at work, financial troubles, or other worries – is unhealthy. Excess stress can make you angry and depressed, and undergoing too much stress or anger for too long can build your blood pressure up to unhealthy levels. Horses can provide you with an emotional release, helping you to remain healthy and to keep your blood pressure at a normal level. Spending quality time grooming, walking, or riding your horse can do wonders when you’re having a rough time. We all know the incredible power of a horse hug! While horses can’t fix unhealthily high blood pressure on their own, they can help you make improvements to your blood pressure. Remember that a proper diet and exercise are important aspects of caring for your blood pressure. You should always work with a doctor when addressing blood pressure issues.